Delph® Essence (Dolphin) is an extraordinary essence. Produced with the conscious help of free, seadwelling dolphins, it has the amazing ability to work on all our chakras at once, stimulating and harmonizing our entire being. 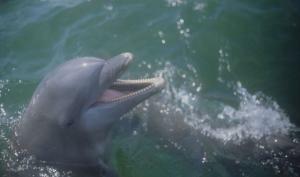 The dolphins’ message is one of unconditional Love. Like a personal encounter with wild dolphins in the ocean, this essence opens our heart chakra so that we experience Life’s unity and the interrelatedness of all living things. Delph has a powerful cleansing effect both on our physical body, which is over 80% water, and spiritually. It is also used for the cleansing and activation of rivers, lakes and seas polluted by industrial or agricultural waste. 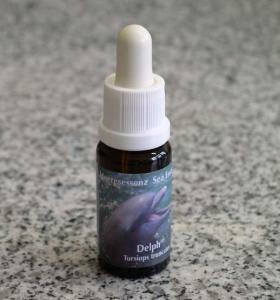 PD: Here is a little testimonial about your Dolphin Essence, Gabriela said it was OK for me to share it with you! I gave her some little bottles with the Essence which she shared with other people. She is from Switzerland. Before she shared this story with me she told me that while wearing the Dolphin Essence Pendulum she made such strong and heart centered contact with some other persons during a dancing festival on a river, like never before. "Kristin, I have no words for you. I'm so deeply grateful for everything you have done for me. All the Dolphins found a new home. As you said, the babies just love it. My two nieces are very calm in my arms, whenever I have the Dolphin around my neck. My godchild Anna-Sophia, 13 years old, reacted in an amazing way. I didn't tell her anything, just put the little bottle to her heart and asked her to feel. She told me after 10 seconds: Oh Gabi, I'm surrounded by dolphins, they are swimming with me. Also my friend Edith was meditating with the Dolphin and felt them all around her. It's a strong medicine, thank you so much for introducing it to me."